Millie Dunbar (Halle Berry) is the big-hearted, hard-working foster mother of many, many children. They’re crammed in to her apartment, bunk beds stacked on bunk beds, but they are safe and happy and loved. Except of course when Obie (Daniel Craig), the cantankerous upstairs neighbour, is harassing them, yelling at them to shut the hell up. Other than that, it may be a struggle, but it’s home. Unfortunately, home, in south central Los Angeles, is about to get shaken up. It’s just days before the Rodney King verdict will be delivered. Things are about to blow up. Like Gook, Kings looks at this contentious, violent time by getting intimate with one of the every day people affected by it. And I don’t just mean affected by the riots directly, though Millie’s family certainly will be. In Kings, we see the trial on the tiny, fuzzy TV sets in every living room. People are living and breathing it. Millie is deeply moved by the updates on the news, and Halle Berry’s excellent work reaches out to touch us in the audience. Millie is raising multiple black boys in a neighourhood patrolled by white cops looking for any excuse (or no excuse) to take out their disgust with the trial on anyone whose skin fits the profile. For her, it’s real, and the consequences are terrifying. Halle Berry hasn’t had roles really worthy of her lately, but this is a good one to sink into. Of course, things really get moving after the verdict is read. Millie’s kids are strewn all over a city going down in flames, and she is not the type to sit on her couch and hope they come home safely. Her rescue mission will be aided and abetted by Obie. This movie isn’t about the riots, but about an unconventional family caught up in them. I am not old enough to have my own memories of this time, but of course I haven’t failed to absorb all kinds of details and impressions over the years. That said, I don’t think I’ve ever really felt it, or understood the extent of what it must have been like for a black person in L.A. (and elsewhere in the country, I imagine) at the time, the disbelief that this verdict could be returned, and the utter fear, the utter terror for one’s safety, and for that of every kid in the community. What a brutal reminder, as if one was needed, that their lives are not equally valued in their own country, to their fellow countrymen. Berry’s panic, and the tears that come so easily to her eyes, tell me this. This entry was posted in Movie Reviews and tagged Daniel Craig, female directors, Halle Berry on November 7, 2018 by Jay. SPECTRE is, without a doubt, the dullest, most phoned-in Bond movie since Daniel Craig took over the part in 2006’s Casino Royale. 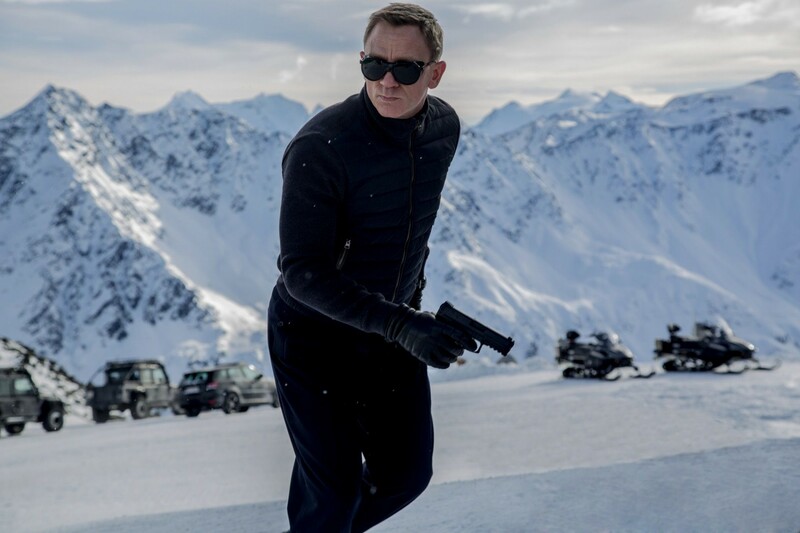 How bad SPECTRE, the 24th in the series, really is is a matter of personal taste. Personally, I will always prefer the tone of the Craig films – even the worst (Quantum of Solace, SPECTRE) of them – to even the best of the campy Roger Moore pictures or the silly Pierce Brosnan outings. Given my admitted preference for a rougher and angrier 007, I am still submitting SPECTRE as one of the better (well, Top 10) entries in the franchise. My expectations going in were high. First of all, I had been dying to order a 007 martini at Cineplex’s VIP Experience ever since it opened earlier this year and had been saving it for this movie. “Oh, that’s the perfect drink for this movie,” my waitress informed me, as if my ordering it had been a coincidence. More importantly though, my eager anticipation of SPECTRE reached new heights once its title had been released. SPECTRE had always been my favourite part of the old Sean Connery classics and I couldn’t wait to see what the 21st century reboot would look like. Back in the 60s, the organization known as SPECTRE would always be trying to trick two superpowers into going to war with each other. And MI-6, Bond included, would always fall for it for the first half of the movie until the inevitable revelation that would invariably lead to what I consider to be one of the most iconic 007 lines “Of course. SHHHPECTA”. Because SPECTRE reimagines Bond’s first dust-up with the nefarious organization, I probably should have known that I would not be hearing my favourite line. Which isn’t to say that the latest 21st century Bond film isn’t without its share of silliness. With the success of Casino Royale and Skyfall, the creative team seem more confident than ever and allow themselves licnese to have some fun with the material that Craig’s earlier and darker installments would have never allowed. SPECTRE is a return to Bond’s glory days, featuring exploding watches, secret societies, elaborate torture devices, and unkillable villains. It’s mostly fun to watch. 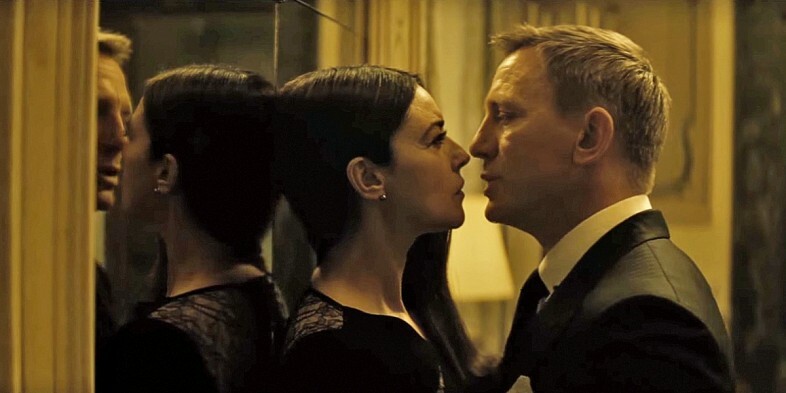 Craig’s performance, continuing to redefine Bond’s signature charm as a brave face against deep psychological scars, balances the less restrained elements nicely, making it easier to just sit back and enjoy the insanity without rolling our eyes as much. Bond’s close-quarters fight with the indestructable Hinx (played as the strong silent type by David Badista) aboard a train is particularly reminiscent of the best Bond brawls from the Connery and Moore days and was a definite highlight for me. Unfortunately, director Sam Mendes and company have also taken Skyfall’s success as license to rest on their laurels a bit. The chases too often feel uninspired and familiar, even from – as Jay pointed out – earlier in the movie. Other scenes resort too often to a kind of melodrama that Craig’s earlier films were mostly successful at avoiding. Still, SPECTRE looks great and is well-cast (although Christoph Waltz isn’t nearly compelling as a Bond villain as Mads Mikkelsen or Javier Bardem were) so is only disappointing when compared with Bond’s best missions. And the martini was worth the wait. This entry was posted in Movie Reviews and tagged action movies, christoph waltz, Daniel Craig, Half-assed, popular culture on November 8, 2015 by Matt.